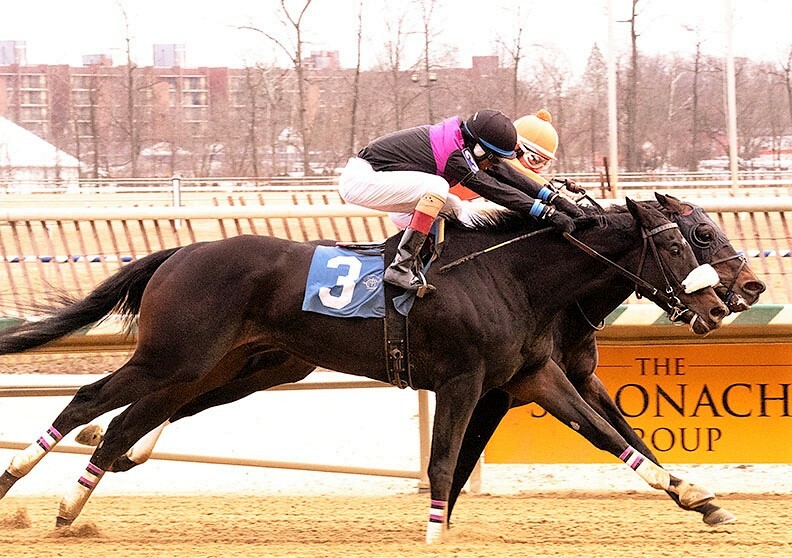 Flying the Flag won a first level allowance race in dramatic wire-to-wire fashion at Laurel Park on February 10, traveling the two-turn almost one mile and one sixteenth distance in 1.43:67. The 4-year-old Malibu Moon colt broke sharply from the gate, was widest of all in the first turn, assumed command, and set leisurely fractions through the first half of the contest. 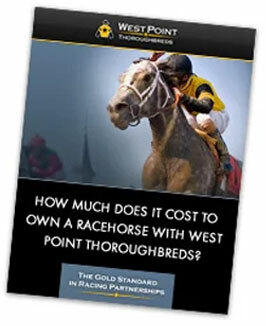 He was headed in deep stretch, lost the lead briefly, and surged back at just the right time to get the win by the narrowest of margins for owners West Point Thoroughbreds, Spendthrift Farm LLC, and Chester Thoroughbreds. Winning jockey Jorge Vargas Jr. was thrilled with Flying the Flag’s performance. “He was strong in the warm-up. He was dragging the lead pony around the track.I knew if I didn’t fight him when he went to the lead, he’d have plenty left. He definitely knew when to turn it back on,” said Jorge. It was super to see this guy handle two turns like a pro in his first try. The most impressive part was that Flying the Flag set soft fractions early, but steadily increased his pace throughout, running each quarter faster than the others. We’ll target a second level allowance race next month.